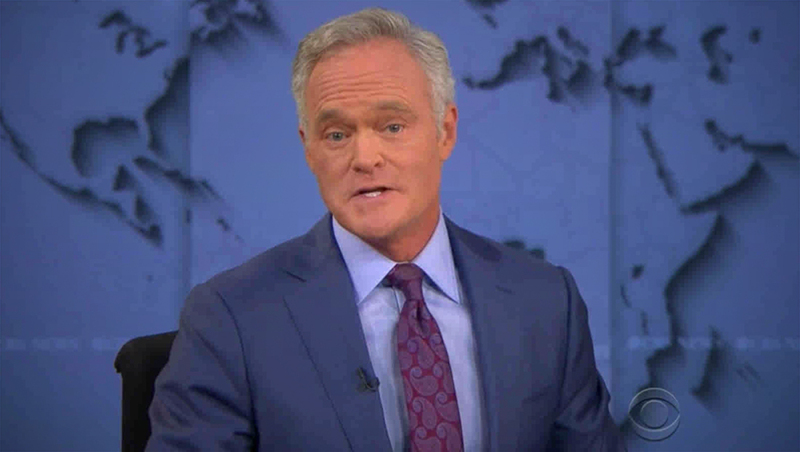 After six years at the helm of the “CBS Evening News,” Scott Pelley exited the broadcast, as planned, this evening. At the end of the broadcast, Pelley paid tribute to his staff and their families, including mentioning the risks they take to bring home the news and, via a James Madison quote, the value of a free press. In a simple elegance, his closing featured a one shot with a looping world map background behind him. At the end, Pelley signed off the “Goodbye and good luck,” a homage to the famous words of his predecessor, legendary CBS broadcasting Edward R. Murrow. As the broadcast closed, the control room cut to wide shot of Studio 57, which looks like it might have attracted a small crowed of well wishers, while a floor member could been seen helpfully moving a monitor out of the way. 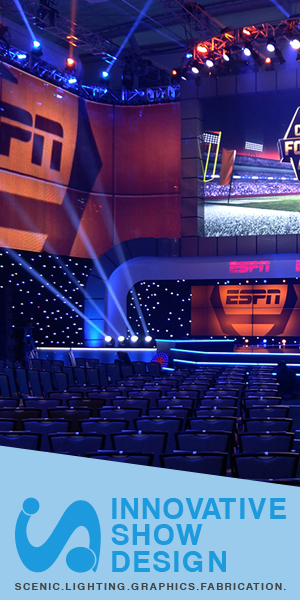 “Evening News” moved to Studio 57 after using it temporarily for the November elections. Also on screen was a credit graphic that helpfully reminded viewers of Pelley’s dual role as both anchor and managing editor, both titles he will surrender. Since the gobo had Pelley’s name in it, it will presumably need to be updated, replaced or done away with. CBS personality Anthony Mason takes over the broadcast Monday on an interim basis and some TV providers have already updated the “cover” graphics associated with the show to a name-less look shown in the tweet above.